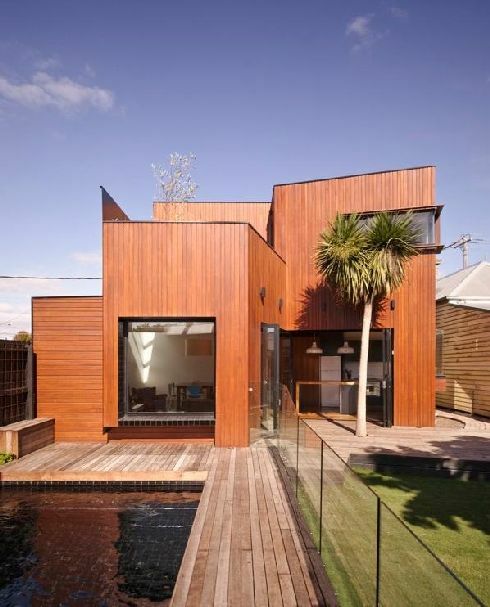 One of the Australia’s brightest architects, Andrew Maynardan, designed this elegant and compact single-family residence located on the Moor Street, in Fitzroy (one of Melbourne’s suburbs). The new house, kept some of its old characteristics, such as the street façade, the original brick terrace and an old Japanese maple tree (located in the courtyard). Andrew’s projects are unique inhabitable spaces, decorated with style and taste. In his design projects, he uses a diversity of materials and his youthful creative mind to come up with the most convenient solutions for the clients and their homes.